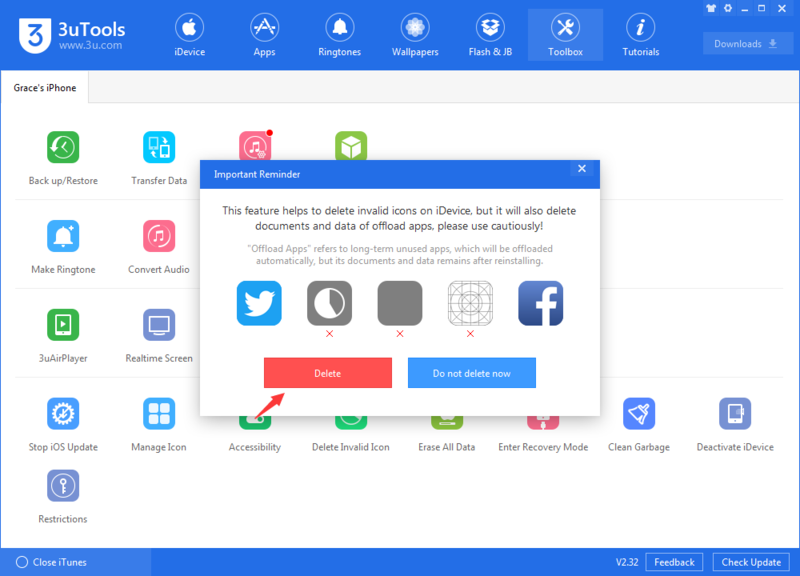 How to Delete Invalid Icons on iDevice Using 3uTools? What is the invalid icon? 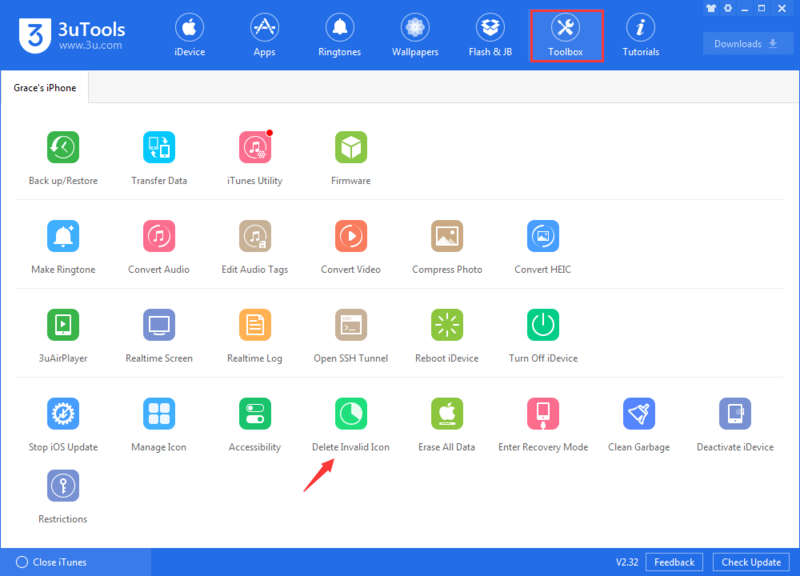 As shown in the following picture, the invalid icon may appear when I failed to download and install an app from App store or iTunes Store. Sometimes I can't directly delete it on my iPhone. 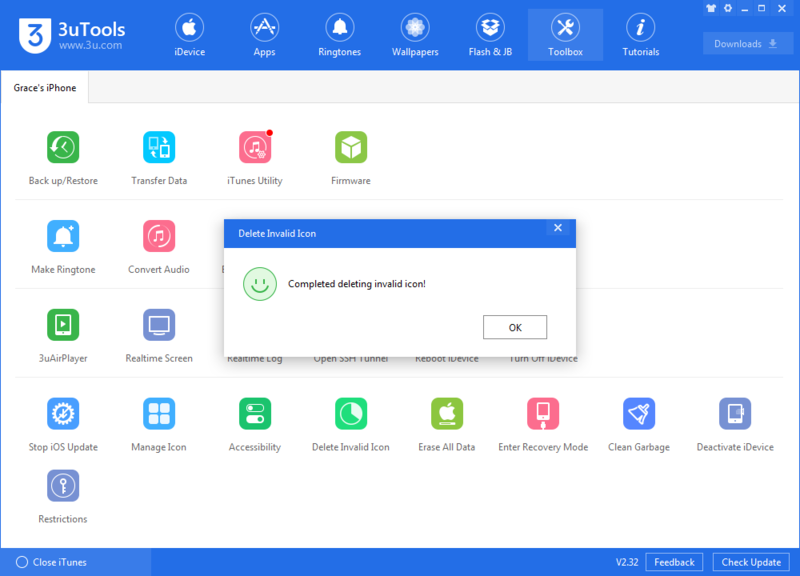 Then how to delete the invalid icon using 3uTools? Step 1: Download and install the latest 3uTools on your PC. Connect your iPhone to PC using the USB cable. Step 2: Click "Toolbox" → click "Delete Invalid Icon". Step3: Click"Delete". Then wait till this process is finished. 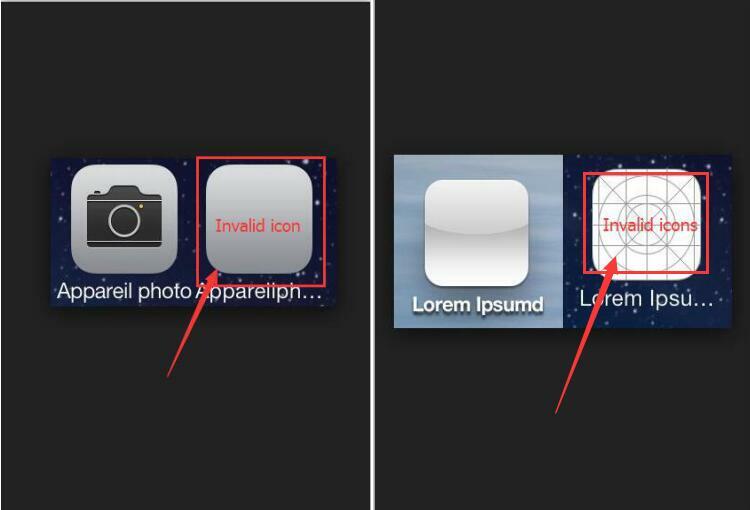 *Tips: If the invalid icon still exists after you click "Delete", please long-click the invalid icon or reboot iDevice to delete it. Step4: Then the invalid icon on your iPhone will be successfully deleted.